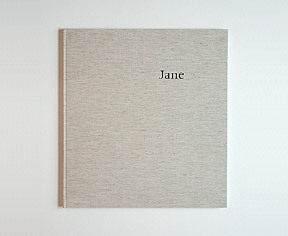 Jane is printed in a first edition of 1000 copies. Twenty-six lettered copies are signed and include a signed original contact print on Azo paper by the artist. Designed by Jack W. Stauffacher of The Greenwood Press. Printing by Phelps/Schaefer. Binding by Cardoza-James Bindery. San Francisco. 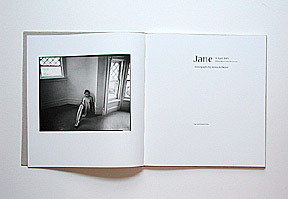 The book measures 14.25 x 13.25 inches (36.5 x 33.5cm) and has twenty-five duotone images measuring 8 x 10 inches each.